One of the best times of the year is when we can all get together, sit down, and catch up. 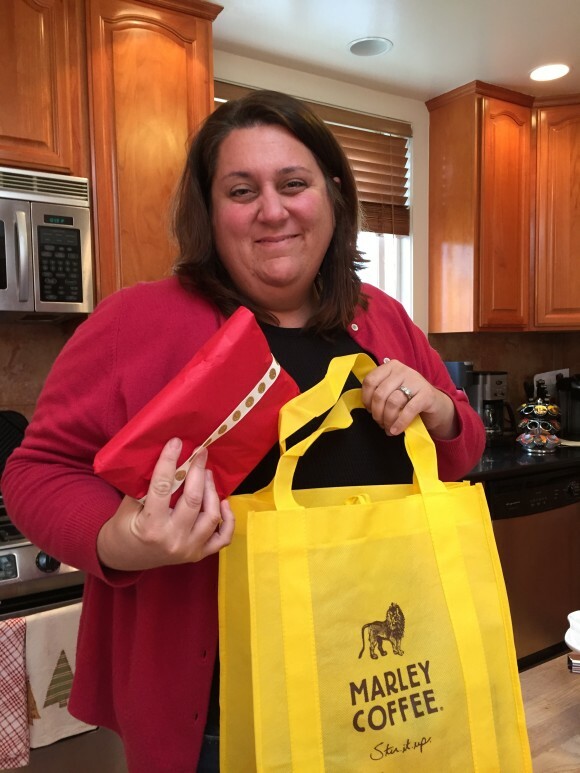 Over the holidays, a group of us were able to do just that, thanks to Marley Coffee. 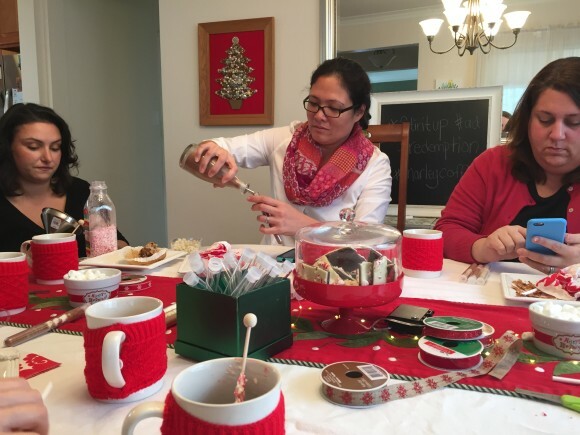 Nichole, from In These Small Moments, came to my house and we hosted a “Holiday Cheer with Marley Coffee” party. I love sitting down with my favorite blogging friends. Since coffee and pastries were involved, it couldn’t have been better. This time of year is busy for all of us. So it’s fun to be able to relax in the midst of the holiday hustle and bustle. Somehow we managed to get our schedules to mesh, and were able to get together. We wanted to chat of course, but we also wanted to create a fun gift for some special people in our lives. We made fun coffee and cocoa mixers to give out. 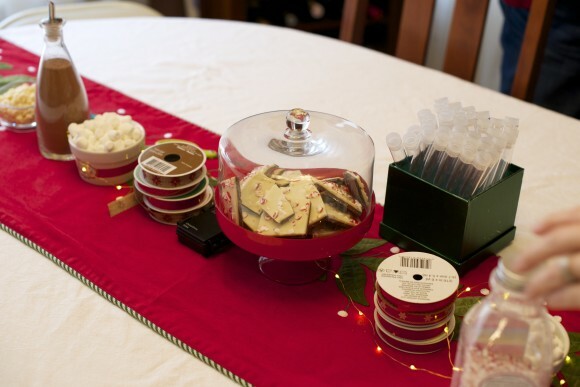 Putting together test-tubes filled with chocolate, marshmallows, and crushed peppermint. We tied them with a bow and had a simple, yet practical gift. My daughter was thrilled to give these to our neighbors. One of the best things about the holiday is giving. We gave each guest a fun gift bag to take home. Not only were the bags filled with Marley coffee. 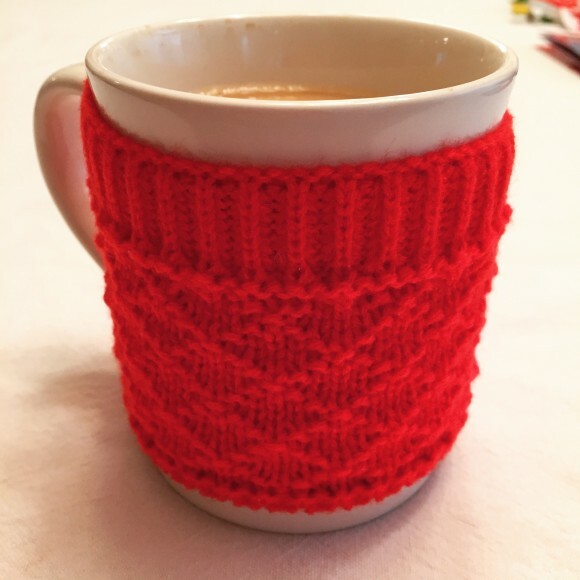 Each guest received a warm infinity scarf, perfect for this chilly weather. 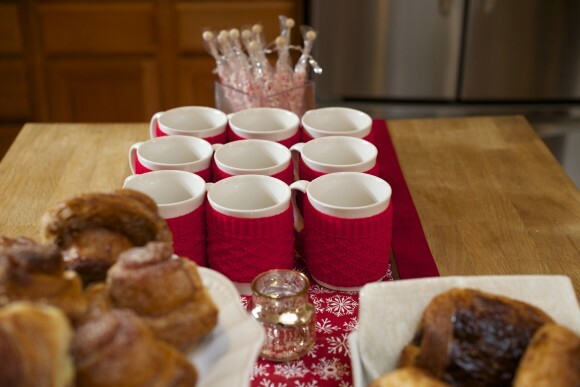 Thank you to Marley Coffee and our blogger friends for joining us on a fun holiday morning. I think of these friends often when I get out my awesome sweater mug! Visit Marley Coffee’s “Buy” page to find their coffee at select physical and online retailers. 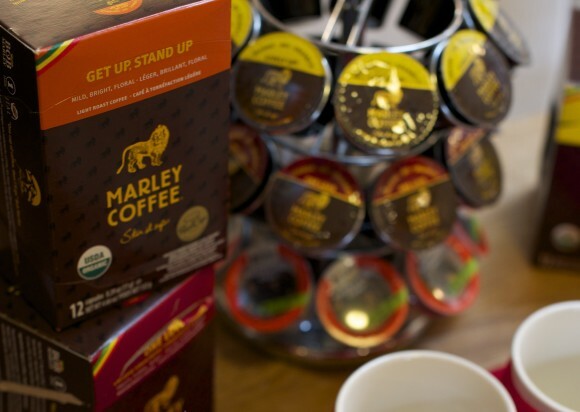 Marley Coffee provided us with products and compensation to host this event. 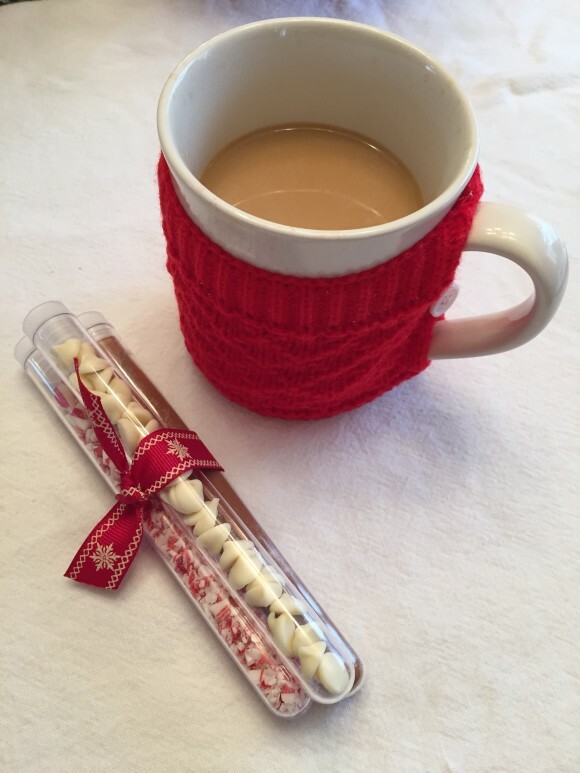 Check out #StirItUp to see more awesome photos!